Daria Grineva is a Master’s student studying International Affairs, with concentrations in International Security Studies and Europe/Eurasia. She received a Bachelor of Arts in International Relations and minors in Spanish language and Russian Studies from Syracuse University. Previously she was a Security and Defense Policy Intern at The German Marshall Fund of the United States (GMF) where she was able to work on various transatlantic policy issues and attend related think-tank events all over D.C. As an intern, she was able to travel to Brussels, Belgium to volunteer for GMF at Brussels Forum, a conference on transatlantic relations. This past summer she was able to intern in the Federal Government working on national security issues. Currently, she is an intern at the Department of State in the office of Southern Europe in the Bureau of European and Eurasian Affairs. Daria is a native speaker of Russian and is fluent in Spanish. I wanted a career in international affairs ever since I was little. I grew up in a multicultural home, speaking two languages and I was fascinated by diplomacy, cultures, and languages. When I was in my sophomore year at Syracuse University, I was one of few people around me that majored in International Relations, meanwhile, most everyone else was studying public relations or finance. I felt really passionate about the things I would learn and I knew how much I wanted to put my skills to good use and do good for people. When I decided to go to graduate school, I immediately knew GW would be the place for me. The diverse courses, professors, and professional staff are exceptional and many of them have been in the career field for a long time. What resources (online or offline) have proven to be the most valuable in helping you reach your career success? Graduate Student Services (GSS) has been the most valuable in helping me (and a lot of other students!) reach my career goals. GSS is always there to help, no matter what career path you’re interested in. They’re always sending me events and job postings that I may not have known about prior to encourage me to apply. They also keep me organized for deadlines coming up. GSS is my go-to for anything career-related because not only do they so many resources, but they are extremely happy for their students when they succeed! 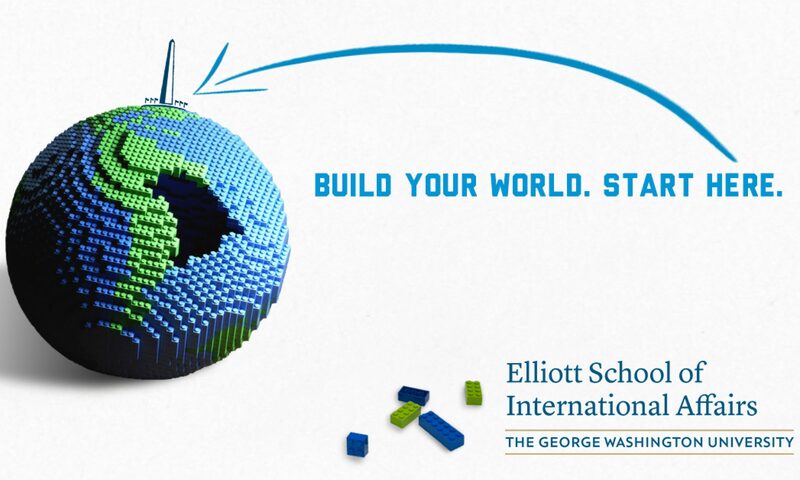 It’s a wonderful resource to have as a student at the Elliott School. Take courses you enjoy and want to learn/study about more. It is extremely important to take courses in what you are interested in, but also take courses where you can learn something completely new. It’s also important to remind yourself how much you wanted to go to graduate school, all you did to get here, and the places this graduate experience will take you after. That always keeps me motivated when I’m most tired or stressed during the semester. Favorite part about living in/around DC? My favorite part about living in DC is being around all the history! Being able to take a walk on the National Mall, visiting the monuments, or sight-seeing on embassy row is always a fun experience. I love being able to show my family and friends what a wonderful city DC is.